Posted Feb 08, 2019 by Eds. 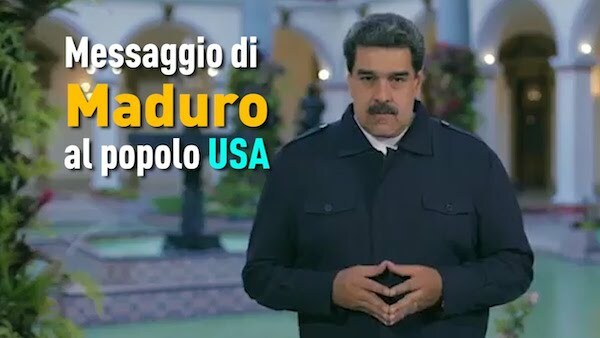 I am Nicolás Maduro, constitutional president of the Bolivarian Republic of Venezuela, and I want to send a message to the American people to alert them to the media, communication and psychological warfare campaign that is developing in the international media and, above all, in the U.S. media against Venezuela. A campaign has been prepared to justify a coup in Venezuela, prepared, financed and actively supported by the Trump administration, as is already known to the public. A brutal campaign of false images, of mounted and rigged images has been put forward: don’t believe everything the U.S. media says, I tell you with all my heart. Since they cannot invent that we possess weapons of mass destruction to invade us, now they invent every day some images, some news to justify an intervention in Venezuela, as a pact against our country. I am an admirer of U.S. history and I know a lot about it. I have personally driven through the streets of Boston, Philadelphia, Baltimore, New York and Washington; I know the United States deeply and from the bottom up and I want to have relations of respect, and close cooperation with the United States.